For a country that is not particularly big in terms of landmass, Italy has an incredibly rich collection of customs and traditions which greatly vary between the twenty Italian regions. From the north to the south of this long, boot-shaped country, you are bound to come across a myriad of unique practices and rites. Plus, the same occasion often is observed in many different ways from the Veneto to Sicily. Take Christmas gift-giving, for example! You would assume that come Christmas Day, the well-behaved Italian children would be getting a little something from a good old man with a long white beard. And that would be it! 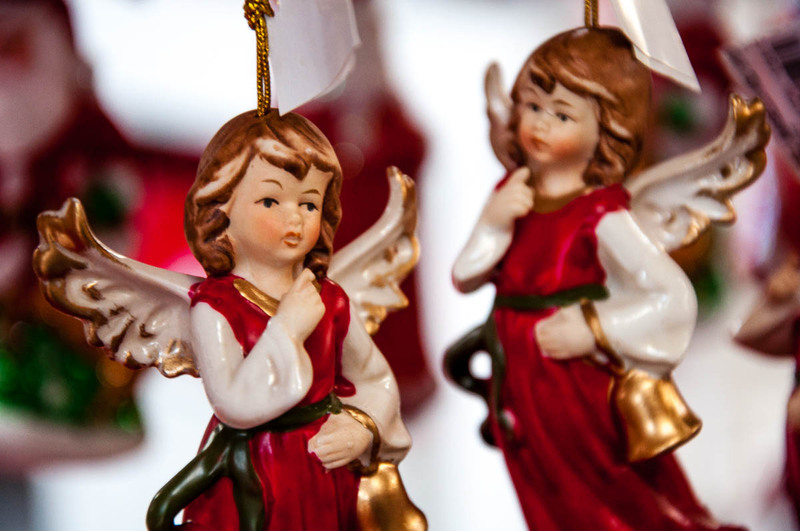 Instead, Italy has not one, not two, not even three… but five characters that bear gifts during the Christmas period! Of course, Father Christmas is one of them. However, he is, actually, the newest addition to the team. I have organised them in chronological order based on the day on which they make an appearance laden with gifts. Read on and let me know which one of the five you would like to bring your dream Christmas gift this year! Traditionally known as the First Father Christmas, St. Nicholas was a 4th-century Christian bishop in the Lycian port of Myra (nowadays Demre in Turkey). It is believed that he died on 6th December and his feast is still celebrated on this day by many Christian denominations. Most notably, St, Nicholas is the patron saint of children. Plus, the most well-known legend about him establishes him as a gift-giver. This is because the saint gifted anonymously three bags of gold to a father of three daughters. The father was unable to give his daughters a dowry to get them married. So, his only option was to send them off to a brothel. Thankfully, St. Nicholas’ gift saved the three maidens from such a grim fate. To this day, St. Nicholas visits the good children of several European countries on the night of the 5t to the 6th December. He drops some candy, some presents and a gold coin (often made of chocolate) in a sock or a wooden shoe that the kids have left by the fireplace or the foot of their bed. In case you misbehaved on the regular during the year, all you could hope for is a lump of coal. So, you know, children behave… and all that jazz (or Tiffany for that matter). 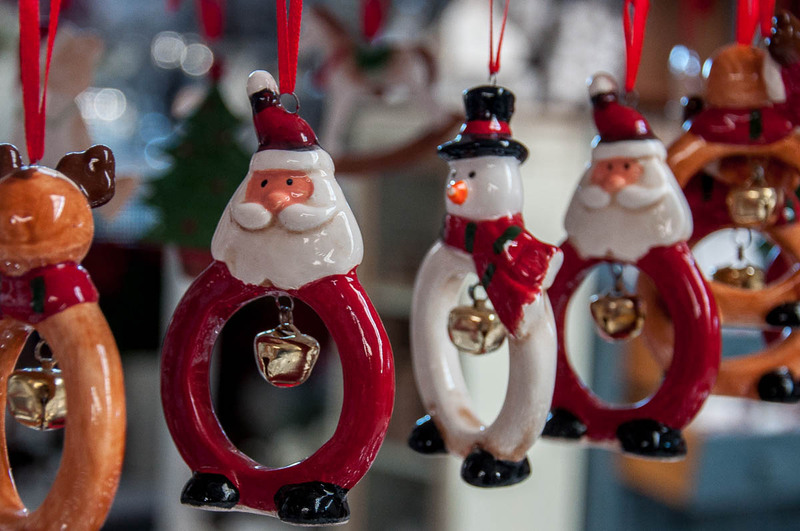 In Italy, St. Nicholas is known as San Nicolo’. Even though it is believed that his relics are buried in Bari in the south of the country, the saint is celebrated as a Christmas gift-giver mainly in some of the northern provinces and regions of Italy. San Nicolo’ brings gifts to the kids in Trentino, Alto Adige (South Tyrol), Belluno, Udine, Triest, and the eastern part of the province of Treviso. For some families, his day is more important than Christmas itself. It’s curious to note that in some of these places, the tradition of San Nicolo’ is intrinsically fused with the belief in the Krampus. While San Nicolo’ rewards the good children with gifts, the Krampus – a terrifying demonic figure with goat horns – punishes the not so well behaved kids. So, during town-wide celebrations, San Nicolo’ arrives riding a horse or on a chariot and chases the scary Krampus away. You can see these parades in many places in Trentino, Alto Adige and Udine. Click here for a list of Krampus events in Northern Italy. With her name based on the Latin word ‘lux’ meaning light, Santa Lucia (or St. Lucy as she is known in the English-speaking countries) is celebrated as a bearer of light during the dark, cold winters. Her feast day is 13th December which, before the calendar reforms, was the day of the Winter Solstice and thus the shortest day of the year. Originally from Syracuse in Sicily, nowadays Santa Lucia’s relics are kept in many cities across Europe. Her body is resting in the Church of San Geremia in Venice. In several regions of Italy, like Lombardy, Veneto (especially in Verona), Emilia-Romagna, Trentino-Alto Adige, and Friuli Venezia Giulia, as well as in Sicily and Calabria, Santa Lucia is highly venerated and on her feast day, city-wide events and celebrations take place. In the north of the country (and mainly in Verona, Brescia, and Bergamo), Santa Lucia also brings presents to the good children who, on the evening of the 12th December, leave on the table a plate with food for the saint and hay, milk or carrots for her donkey. Kids are quick to fall asleep on this particular night, as it is believed that if the saint finds them awake, she will blind them with ashes. pastefrolle di Santa Lucia – cookies made in different shapes (hearts, stars, and even horses) which are believed to bring good fortune. 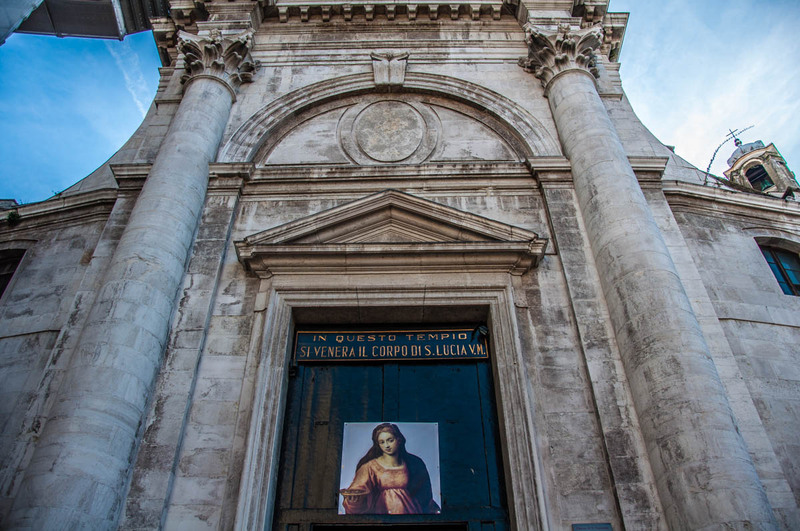 In Verona, the cult of Santa Lucia has taken on especially heartfelt dimensions. It is believed that the relics of the saint passed through Verona in the tenth century on their way to Germany and since then her feast day has been a special holiday in this Northern Italian city. Another legend talks about an epidemics in the 13th century when the children of Verona were afflicted by a terrible disease of the eyes. The parents decided to ask Santa Lucia for help as the saint is the patron of the blind as it is believed that her eyes were gouged when she was tortured before her death. The people of Verona wanted the afflicted children to perform a pilgrimage, shoe-less and coat-less in the snow, to ask Santa Lucia to be healed. The pilgrimage was to the (no longer in existence) Church of Saint Agnes which was also dedicated to Santa Lucia. The cold frightened the children so their parents promised that lots of gifts would be there for them once the pilgrimage was completed. The children proceeded and were healed. Since then in Verona, the tradition remains to take the kids to church on the 13th December for a blessing of the eyes. 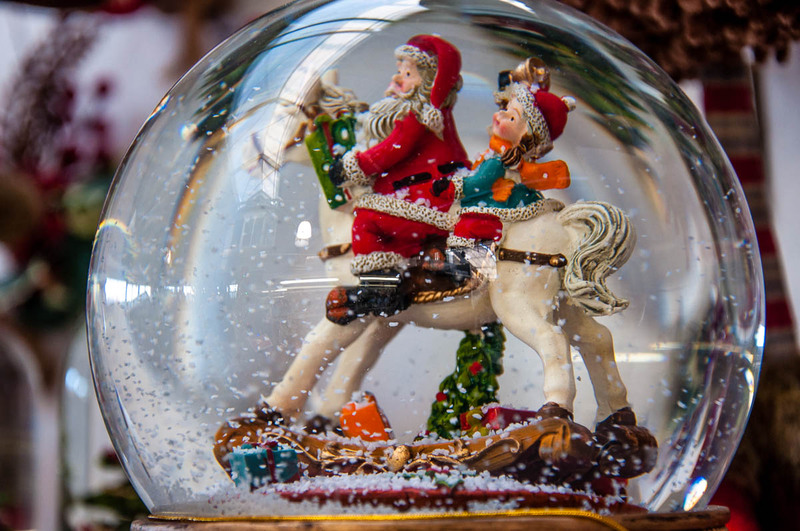 In addition, a traditional market, called I bancheti di Santa Lussia selling toys and sweets is set up around Arena di Verona from the 10th to the 13th December each year. For centuries, sweet little Bambino Gesu’ (Baby Jesus or Infant Jesus in English) has been bringing presents to the good Italian children on the night preceding Christmas Day. Once all the gifts were piled in the family’s lounge, Bambino Gesu’ would ring a small bell to show that his task at that home was completed. Known as Christkind (Christ Child) in German, Bambino Gesu’ is the traditional Christmas gift bearer also in Austria, Germany, Switzerland, the Czech Republic, Slovenia, Croatia and a number of other countries and regions in Europe, Latin and Northern America. In spite of his tender age, Baby Jesus was given the significant task of delivering presents to all well-behaved children on 25th December after the Protestant Reformation in the 16th century. Led by Martin Luther, the reform, among many other things, suppressed the cult of the Catholic saints. St. Nicholas (as a saint and Catholic bishop) was removed as principal Christmas gift bearer. In an effort to focus the Christmas celebrations around the actual child born on Christmas Day, Luther moved the tradition of gift-giving from the 6th to the 25th December and entrusted it to Baby Jesus himself. Bambino Gesu’ is often depicted as an angelic looking child with curls and small wings. Interestingly enough, in the 19th century, Baby Jesus was consequently adopted as a Christmas gift bearer by many Catholic countries, too. Among them, Italy! Where Bambino Gesu’ still performs his gift-bearing role but in an ever greater competition with the imposter Babbo Natale. Santa Claus is well-known all around the world. The idea that this good-natured old man with rosy cheeks and long white beard delivers Christmas presents to all well-behaved kids has been actively and even aggressively sold to us over many decades. In Italy, Santa is known as Babbo Natale (literally Father Christmas). He is a rather new construct here, though and many are the people who oppose his ever-increasing influence. Yet, such is his worldwide marketing campaign that you simply cannot avoid him in Italy. 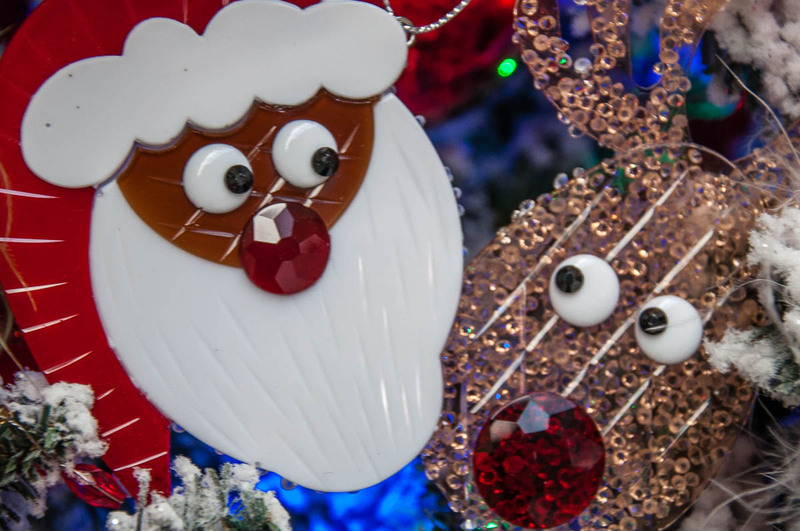 From Christmas decorations shaped like tiny Babbi to full-size live replicas taking residence in shopping centres, Babbo Natale is on the offensive and he is here, it seems, to stay. Just one example of how quickly Christmas norms are changing in Italy is the fate that has befallen the traditional Christmas letter. Before, at Christmas Italian children would write a letter to their parents to tell them how much they loved them. Then they would tuck the letter underneath their father’s plate to be read during the traditional Christmas lunch. Nowadays, Italian children write letters to Babbo Natale asking for presents and other such signs of an ever-increasing consumerism. Befana is my favourite of the motley crew of Italian Christmas gift bearers. An old lady with a disproportionately long nose, she is a direct throwback to those times when ladies could ride around on their brooms and wear tall pointy hats freely. I would call her a witch but I did once in a blog post several years ago and I was told off by a real Italian correcting me that Befana was not a witch but an old woman, after all. Well, seeing that Befana and her tradition survived many centuries of witch trials and persecution, yes, I am sure she is not a witch. Just a long-nosed lady on a broom bringing gifts. Befana brings her gifts on the night of the 5th to the 6th January. In case you have been a good girl or boy during the preceding year, you would receive a nice stocking stuffed with candy and sweets. Otherwise, you would get a nice lump of coal. Anyway, there is nothing to be worried about, as nowadays the lump of coal is actually black rock candy made of sugar, so even being bad is a good thing. So, what’s the legend about Befana?! How come she started giving gifts to Italian children on Epiphany – the twelfth day of Christmas?! The answer is: Befana was cleaning her house when the Three Wise Men knocked on her door asking how to reach the stables where Baby Jesus had just been born. She didn’t have a GPS so she couldn’t point them in the right direction. Yet Befana kindly provided them with accommodation for the night. In the morning the Three Wise Men invited her to accompany them on their journey. Too absorbed in her household work, Befana refused but regretted it almost instantly. Befana wrapped a present and tried to catch up with the Three Wise Men, but got lost and is still trying to find the way. So, every year, on the night of Epiphany, she leaves presents for children in her search for Baby Jesus. A cleaning-obsessed, candy-bearing, slightly OCD witch… ahem, I mean, old woman on a broom! What’s not to love about Befana! Another curious thing about her is that she comes flying down the chimney to deliver her gifts. So on 6th January many towns and cities in Italy hold celebrations for kids at which Befana comes flying down a tall clock-tower. In Riva del Garda on the shores of Italy’s largest lake – Lago di Garda – Befana appears from the lake waters. 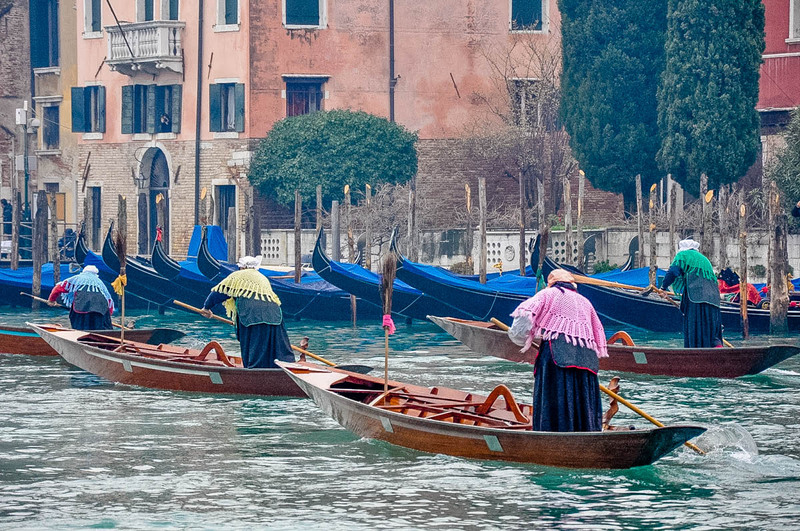 In Venice, every 6th January, there is a race between five Befanas rowing small traditional Venetian boats on the Grand Canal. The Venetian Befanas are actually men dressed as the good old lady. It is a lot of fun to watch. You can read all about it here. In Venice, you may also hear them use the name Marantega for Befana. Do you know what happens to Befana once all the gifts are handed to kids?! She gets burned on the stake! Yes, large effigies of Befana are burned up and down Italy on the evening of Epiphany. But, don’t worry, Befana is definitely not a witch, just a symbolic representation of the old year going up in flames for the new year to start afresh. 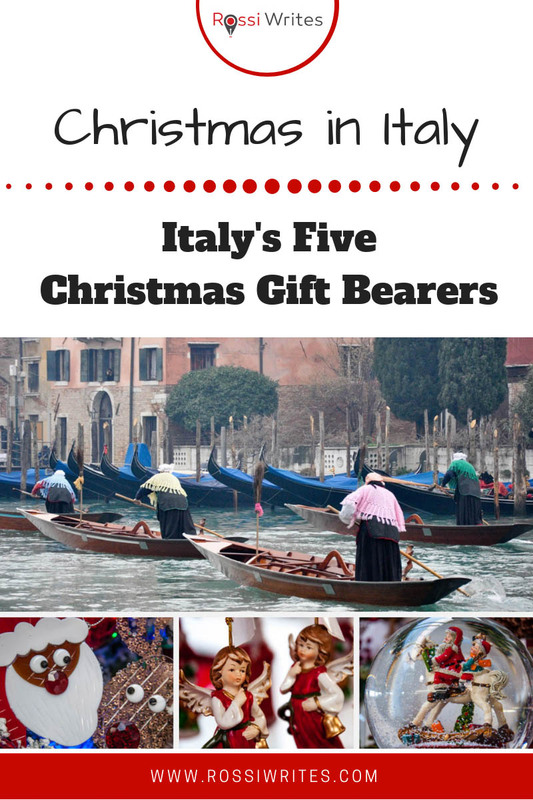 Well, these are the five gift-bearers you may come across in Italy during the Christmas season. The story of which one resonates with you? Which one would you be happy to bring you and your kids Christmas presents this year? Let me know in the comments below.